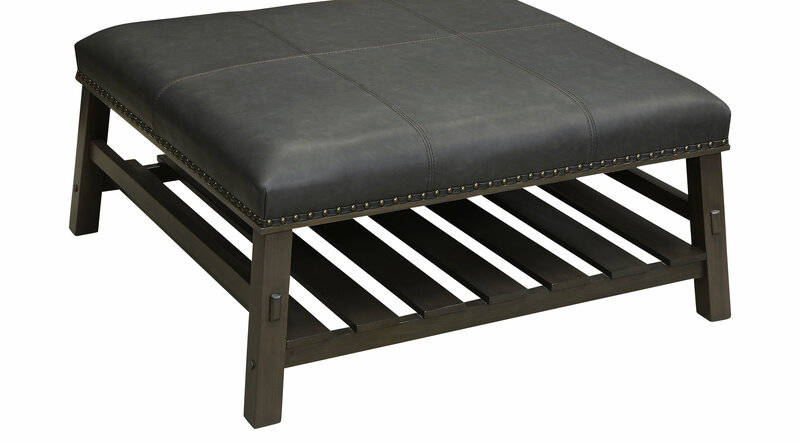 This stylish Baca cocktail ottoman is the perfect addition to round out your living room or den decor. Whether to play a game that has been stored on the slatted lower shelf or to just sit and chat, your guests will have plenty of space to gather around this expansive three foot by three foot ottoman. Finished in cobblestone, the faux leather top is an ideal place to keep a tray of appetizers and snacks close at hand for all to enjoy.